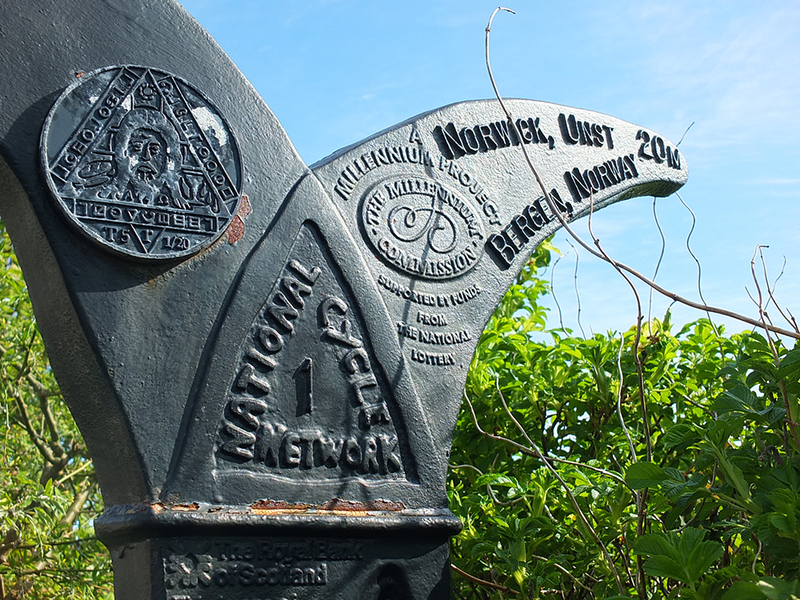 Part one of two of my long bank holiday weekend bike ride to the most northerly tip of Britain. 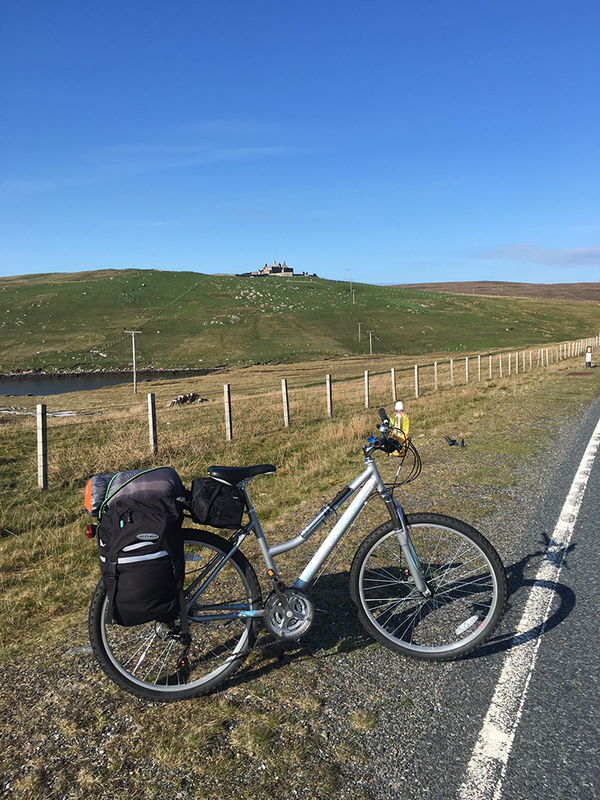 Regular readers will, by now, be well aware that I am planning an epic 250 mile mountain bike cycle from my home on Shetland to Fort William, where I’ll be climbing Ben Nevis – all part of my #40before40 list. Recently we had a long bank holiday weekend and the weather was predicted to be fantastic – full sun and very little wind. 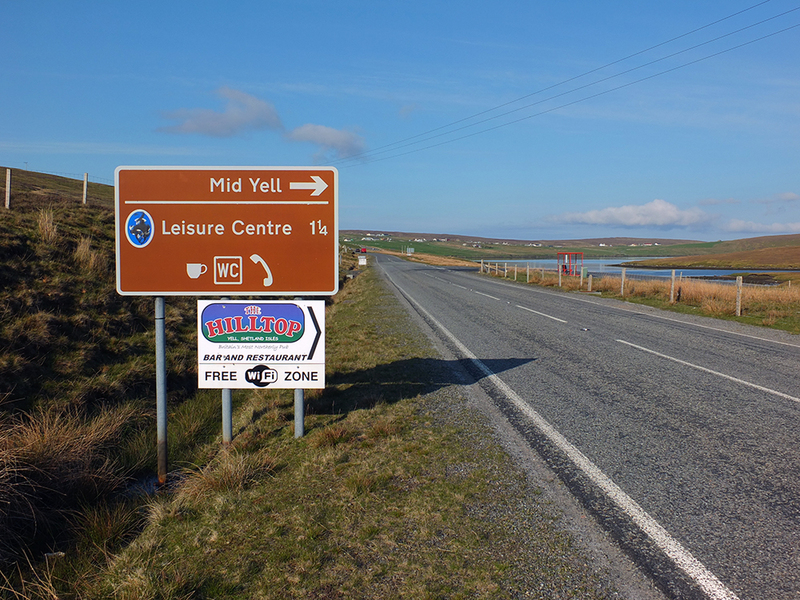 My husband had the Monday off work and even the kids were off school on an occasional holiday, so I suggested that, perhaps, we head up to Britain’s most northern isles Yell and Unst for a bit of exploration. 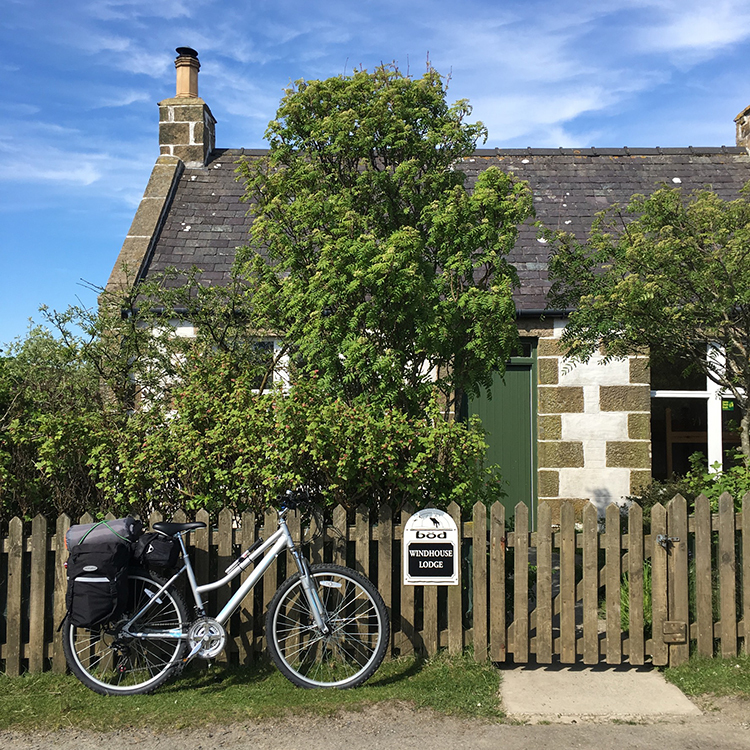 I quite fancied staying at the Windhouse Lodge Camping Böd, budget self-catering accomodation in the gatehouse of Shetland’s most haunted house – Windhouse, in Mid Yell, built in 1707. “Um…. is there wifi?” they asked. There wasn’t, so they chose to stay home instead. Fair enough. I used this opportunity to load up a borrowed set of panniers (I’m waiting for my new ones to arrive via courier – ie: they’ve been sitting in some warehouse in Lerwick for a week while they wait to deliver to us rural folk) and fix them to the brand new pannier rack my husband had installed on my bike, bungee cord my brand new Vango Venom 400 sleeping bag to the top and squeeze my camera bag into the space under the seat – a practise run on a weekend cycling trip with loaded panniers. 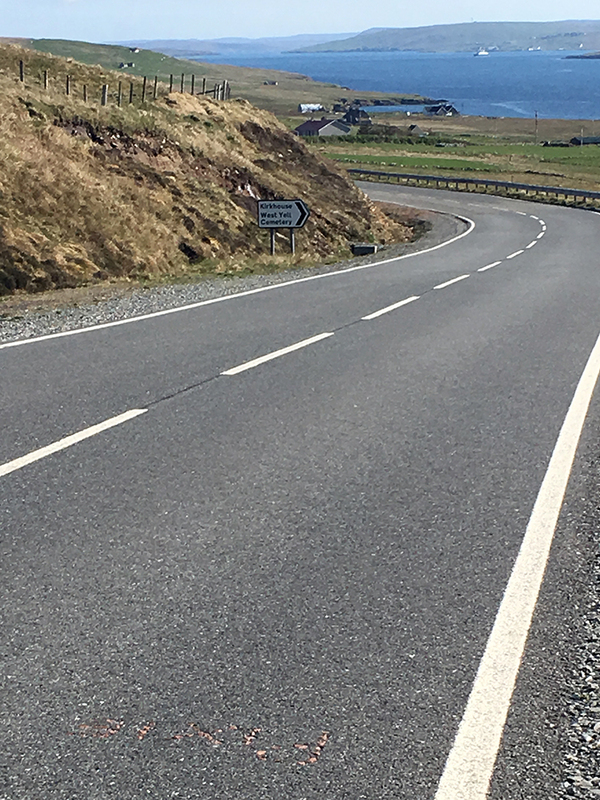 The Shetland Islands are part of the North Sea Cycle Route – a 6000 km stretch of road along the coastline of the North Sea, starting at the tip of the island of Unst and finishing in Bergen, Norway. I’m daydreaming of covering this route one bit at a time. 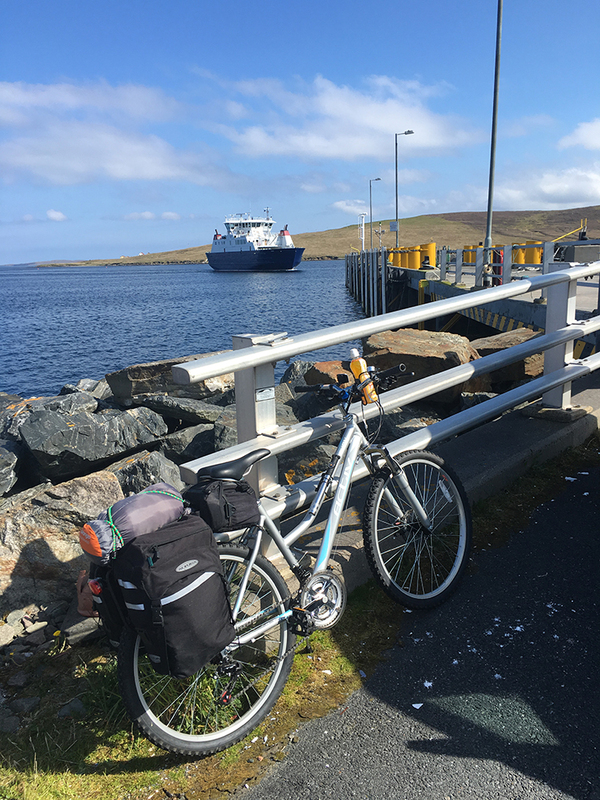 All I had left of the Shetland leg of this route was to cycle from the village of Voe in the middle of the Shetland mainland to the top of Unst, Britain’s most northerly inhabited island. 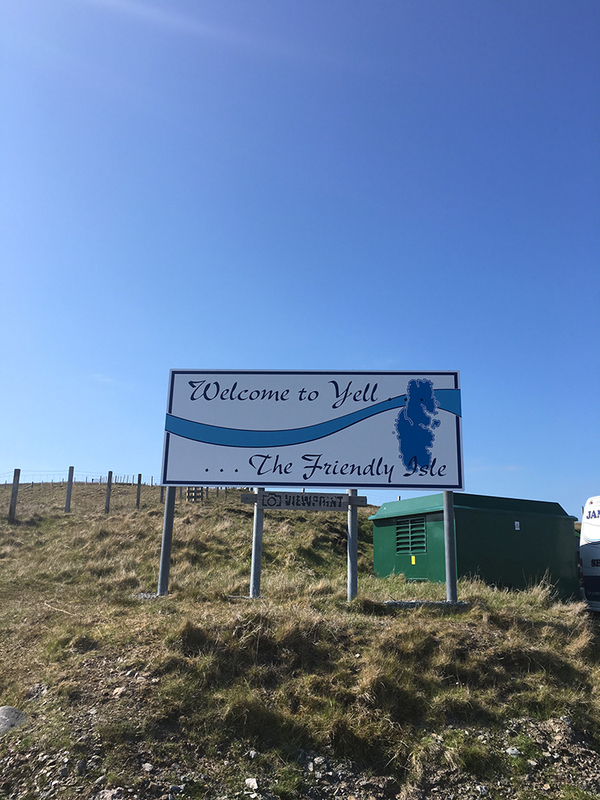 So, on the Saturday morning I dropped my bike off at a friend’s house near the Toft ferry terminal to Yell, as I didn’t quite fancy cycling across the Alps, a particularly hilly stretch of road from my house to Voe, with loaded panniers when I’ve already covered that road at least 20 times now. I was going to collect my bike later that day and head north. After dropping off my bike and attending my morning kettle bell exercise class I was on the hunt for dark brown sugar for a recipe and a roll of duct tape for my highlands trip. Apparently duct tape is a must have for extended cycling tours – just in case. Our local village shop was out of said sugar, and I checked no fewer than four other village shops before I found it. I needed to detour to check the other village shops so I ended up on a stretch of road I hadn’t intended on being on. 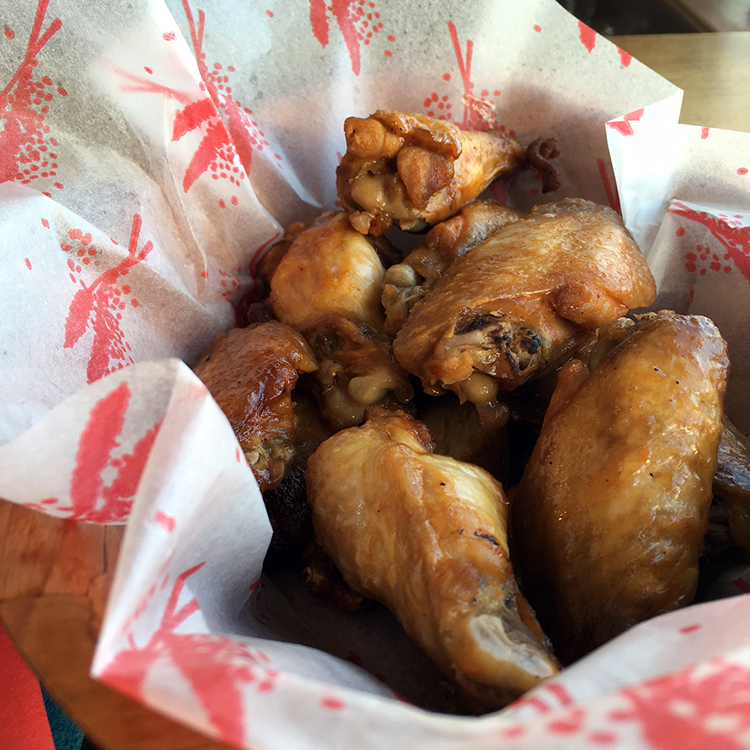 There was a hitchiker on the road, thumb extended. As someone whose sole method of travel back in rural Canada was through hitch hiking I always pick up hitch hikers if I have room. So I pulled over. She was from Paris and it turned out that she was heading to the Yell ferry terminal, and that she was staying in the Windhouse Lodge Camping Böd that night! What were the chances? As you do, I brought her home, fed her lunch and we headed up to the ferry together later that day. She was a WWOOFer – a volunteer traveling the world organic farm to organic farm, working in exchange for room and board. She had, in fact, picked and bagged the very organic salad leaves I fed her for her lunch! Small world, eh? So yes, one short ferry ride later the Parisian lass has caught a lift with a fellow in a hire car and I’m all by myself on the road, slogging up this long hill rather slowly wondering why, exactly, I’d brought so much Lucosade with me (and a 750 ml box of red wine I’d impulse bought in the Ulsta Shop by the ferry terminal. I had visions of sipping red wine by the fire that evening in the lodge). Something on the road caught my eye. Did the tarmac just read ‘Pixie’?! I stopped and had a closer look. 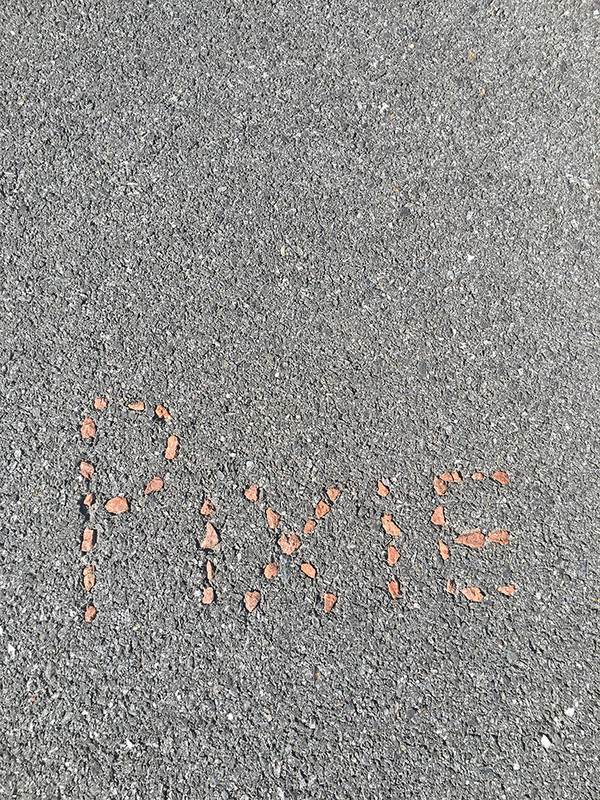 Yes, indeed, the word Pixie was embedded in the road in red stones. Who or what was Pixie, I wondered, and why is its name immortalised on the road? The things you don’t see when you’re in a car, eh? The cycle up the long, relatively flat road to Mid Yell was not taxing, despite my heavy liquid luggage. There was very little traffic, except for every half an hour or so when three to five cars would pass me after having arrived on the next ferry. The only sounds were those of the birds in the peat hills on either side of the road. Some observations on Shetland birds: oyster catchers sound like squeaky toys, lapwings sound like digital computer birds and larks sound nothing like Vaughan William’s Lark Ascending. They’re a lot more chattery but watching them fly straight up and then dive back down to the ground is pretty magnificient. On this road I learned that cycling across cattle grids causes the Lucosade bottle in my ill-placed water bottle holder to jump out and fall in down under the cattle grid. Note – buy new water bottle holder and fix it in a more appropriate location. I liked them already! Driftwood fire, awesome! I had a quick look around the lodge – a rather cosy small stone house with two bedrooms (a small room with one set of bunkbeds and a larger room with two sets of bunkbeds). The living room has a solid fuel stove, a few chairs and another set of bunkbeds. The kitchen was pretty well provided for – a small fridge, a microwave with two hobs on top, a kettle and a large table with benches. Basic crockery, cutlery, pots and pans are provided. An electricity meter ran on £1 coins. All that for £10 per bunk, per night. Not bad! You can read more about my stay at the Windhouse Lodge over on my Shetland.org post. 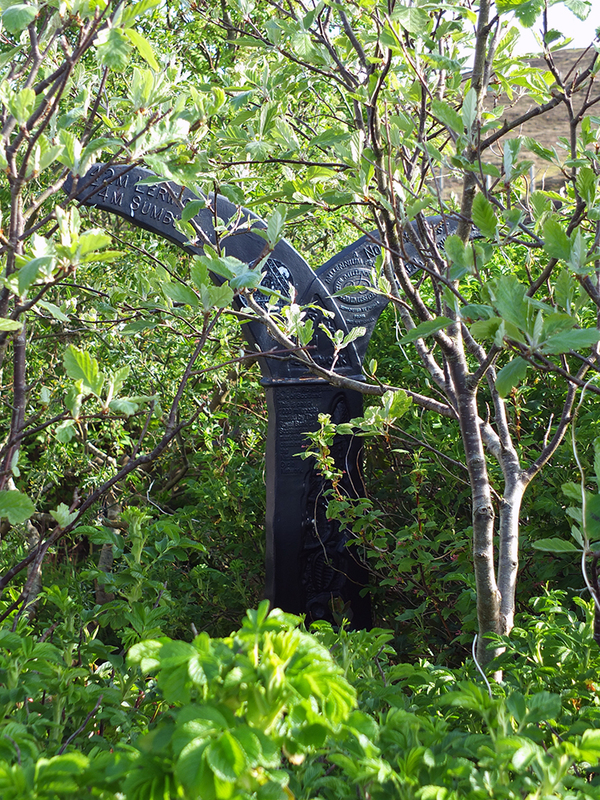 Hidden within the trees in the garden I spied a rather peculiar black structure. 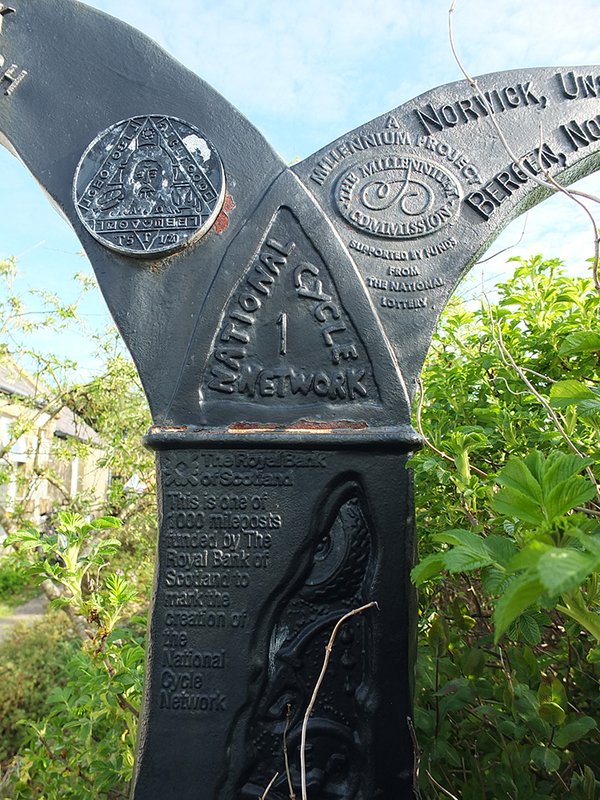 Upon closer inspection it turned out to be a marker for the National Cycle Network Route 1, one of 1000 cast iron Millenium Mileposts along the route funded by The Royal Bank of Scotland. 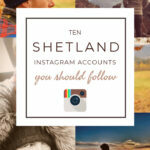 Is this the most northerly one, I wonder? While researching these I discovered that there Time Trail discs on each one with a secret code. If you find them all you can decode the message and find out the secret of the Time Trail! How fantastic is that! 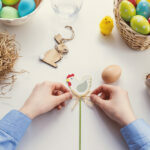 A real life cycle treasure hunt! The thing is, no one can see this milepost from the road. It’s hidden behind a stone wall in among the garden trees. 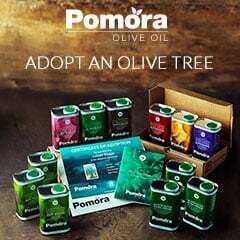 This website provides a bit more information on them. 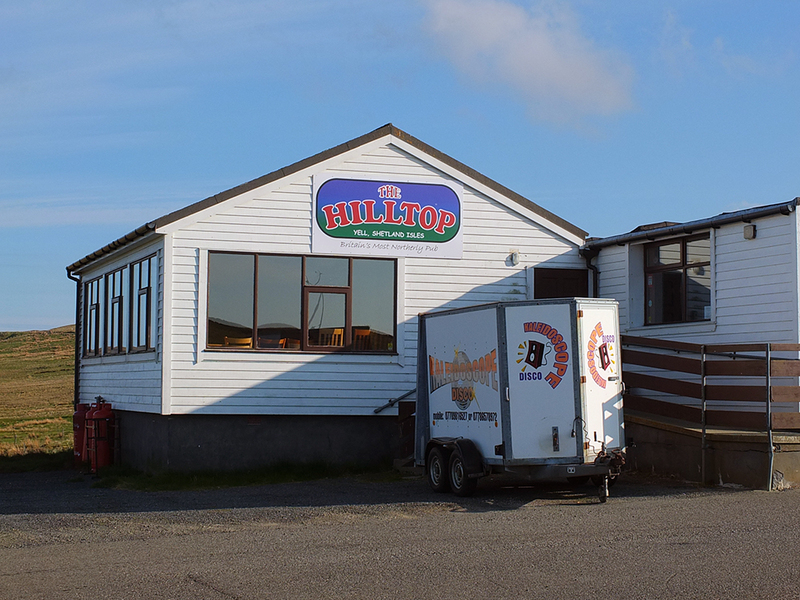 The Hilltop Bar & Restaurant – Britain’s most northerly pub – was only 4000 steps away from the Lodge, according to my Fitbit, and they open for food and drink at 6pm. It’s not quite a restaurant yet, to be honest, as it’s run by a very friendly one man show who pulls the pints and then runs into the kitchen cook with the deep fryer and microwave, but still, it was hot food, and considering I was going to be cycling on a Sunday through some rural, remote islands when everything is closed, I was content. It might be the only hot food I had all weekend as I hadn’t brought anything to cook and I’d only stocked up on snack bars at the local shop. The sun was streaming in through the window while I sat at the bar sipping ice cold Pinot Grigio. I had all of the happy. I was on holiday. Who should appear, on foot, in the driveway but French Marie! She joined me for some wine, chicken wings and curly fries. 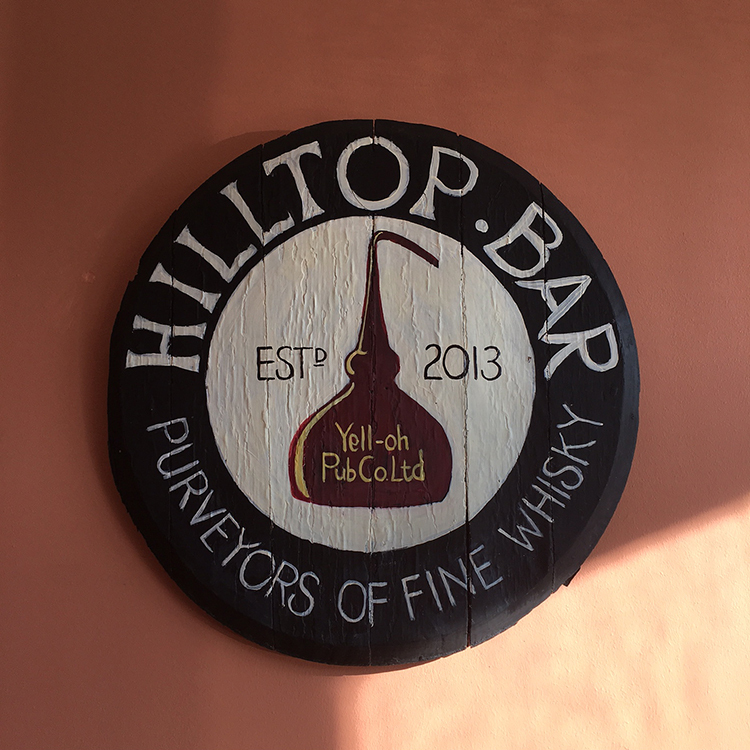 It turns out that Britain’s most northerly pub only has two wine glasses, and the bartender said that he’d sold more wine that evening than he had in the last six months. We’d only had a few glasses each, I swear, but we both felt like proper alcoholics! I guess the Yell locals aren’t wine drinkers. 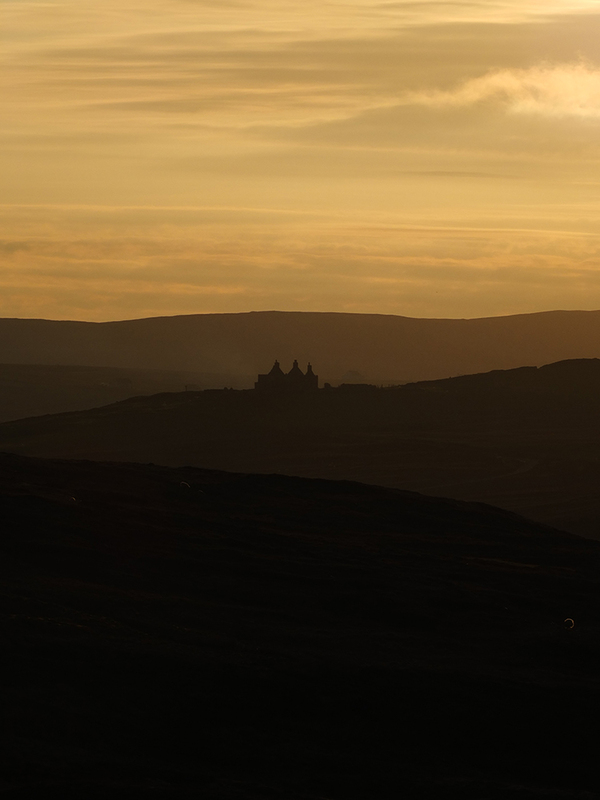 The walk home in the sunset (the sun doesn’t set until around 10:30 pm this far north at this time of year – plenty of daylight for exploring) was lovely, and Windhouse, Shetland’s most haunted house, looked terribly spooky in the orange tinted sea mist that was rolling in. When we got back to the Lodge the fire was roaring and we met our housemates – a lovely couple from the south of England (who had left the note) and another older retired couple from Germany on their electric bikes who were touring Scotland. We shared stories over the fire before retiring for the evening in our respective bunk beds. Marie and I were sharing the bunk bed in the living room and I fell asleep to the crackling noise and warmth of the solid fuel stove. Bliss. With thanks to Vango for the sleeping bag, a full review of which will appear on my blog after my epic 250 mile mountain bike cycle when I’ve fully tested it wild camping in the highlands of Scotland. Love reading about this kind of adventures, would love to do something like that in the future! This looks like a great place for outdoor adventures – great idea to go cycling, with the beautiful views! 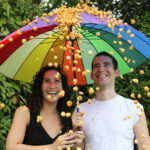 Meeting other couples alongside the way makes the trip even greater profitable. Great snap shots too! The Pixie in the road is exactly why I cycle, seeing all the interesting things at the side of the road whilst daydreaming and pedalling along. I’m always the one spotting in the deer or birds of prey when out cycling! Sounds like an epic trip and another place to add to my cycling bucket list. Meeting other couples along the way makes the trip even more worthwhile. Great pics too! Meeting other couples along the way makes the trip even more worthwhile. The pics give me a sense of peace. Thanks for this! I love the sunset picture, stunning! Also, how interesting the ‘pixie’ word on the road! love the design – very quirky., the green colour would match the rest of the accessories in my kitchen too. These are the days I wish I could cycle, what an incredible adventure you guys went on. This was such a lovely read: the coincidences with your hitch-hiker, hidden treasure trails, Pixie in the tarmac and the bird sounds. Wow what a post! You live in such a beautiful picturesque part of the world – I would love to visit the most northern pub in Britain. 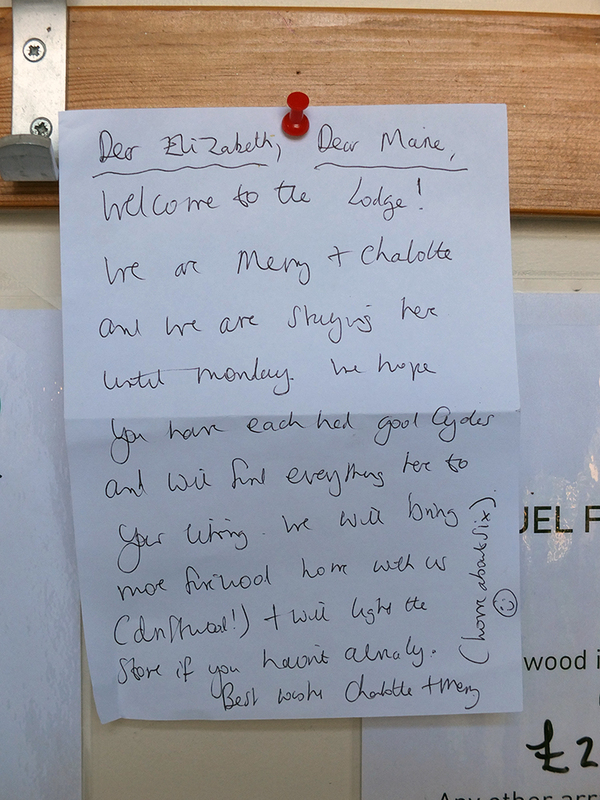 The note left on the door is brilliant – I want friends that bring back driftwood too! As for only having 2 wine glasses – that really made me smile! Wow that seem like a nice little getaway with no WiFi or distractions. I seriously need a vacation like that where I completely disconnect and just enjoy myself. Wow, what the perfect place to go! No wifi? That is my dream! I couldn’t think of anything nicer! The view looks absolutely breath taking! I would love to cycle around as well and most definitely take a lot of pictures. Thank you for sharing. The views look stunning and the sky is so blue!! 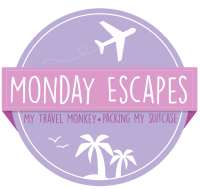 I can’t wait to see you go on your summer adventure its going to be a tough cycle ahead of you but a bit of exploring will help. Yell looks great! This adventure actually sounded super peaceful. 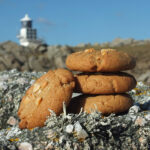 I love the picture of “Windhouse.” I have to do some research on that! 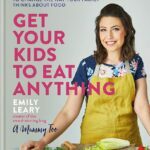 Absolutely loved reading this! So interesting and inspiring! I always say this but I’d love to one day do something similar! Such a great way to meet new people and such an achievement at the end of the day! Glad you enjoyed your visit to us here at the hilltop, sadly there is only one wine glass left as the other died on us shortly after your visit, I’m sure it was from over useage, rest assured it died an honorable death. Those pictures are wonderful, your brave planning on cycling that far. I’d never manage to do it myself. Lovely post. £10 per bunk is a bargain. What a great way to adventure and how strange to meet Marie in the way you did too! how exciting, I loved reading this. I thought I lived in a quiet part of the country until I’ve read and seen your photos. Really interesting about the sun setting at 10.30pm, that must be so strange but not if you’re use to it I guess. Best of luck with the rest of your 40 before 40. I hit 40 in November and my plan was just to get fit and switch to a clean living lifestyle. I recently got into cycling, I love the idea of this! That sounds like an amazing trip! I have to say that leaving my husband and kids behind and heading on a trip really appeals to me 🙂 I’d so love to visit the Shetlands and I can’t believe the lodge is such a reasonable price. Not sure that I’d love the hard work of cycling but being outdoors on hols is the best. What an adventure! I would love to do something like this someday, unfortunately, I don’t think my beach cruiser will be up for the challenge, so better get a proper bike first! 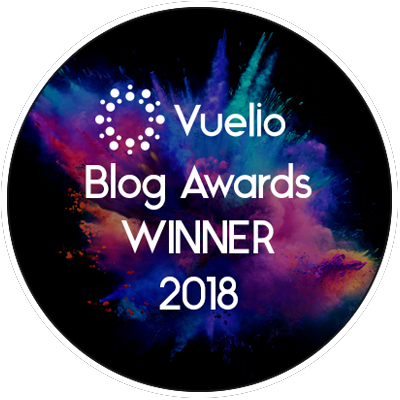 Dean of Little Steps recently posted…Exciting News: We are a Weymouth Adventure Park Ambassador! That is such beautiful scenery! I am not much of a cyclist, but I could definitely do it with that kind of view.